One of the most difficult things about moving is leaving your friends and neighbors behind—but there is always a bright side. In a new location, you have a chance to meet a whole new group of friends, but some people find it difficult to meet new people. Once the moving help has left, it’s time to find ways to become part of your community! Here are some easy ways meet your neighbors in your new home. One of the best ways to meet like-minded people is by just doing what you love! Go to the gym, attend church, take a cooking class, join a Mommy & Me, or volunteer at the local soup kitchen. When you meet people while doing the activities you love, you’ll already have at least one thing in common! Social media isn’t just for dating. Apps like Nextdoor are hyper-focused by neighborhoods rather than entire cities or zip codes. Many users post news about local events and meetings, and many even use the apps to plan play dates at a neighborhood park or to set up coffee dates with neighbors they haven’t met yet! As with the use of any social media, be sure to meet in a public place and don’t give out personal information until you’ve gotten to know the person. Attending a civic league meeting is another great way to meet those who live nearby. If you’re new to the neighborhood, attending a meeting is also a chance to get the skinny about the area from those who live there. If you’re lucky enough to move to a place that has an active civic league, it’s also an opportunity to learn how you can dive in and get involved! Attending events, such as charity-sponsored dinners, fun runs, and similar activities is another common way to make new friends. Choose functions sponsored by groups you care about to help you meet people with the same interests. For example, animal lovers could attend SPCA auctions, or those who want to support local schools could attend PTA bingo night. If you want to make friends you have to show yourself friendly. Instead of waiting for neighbors to reach out to you or invite you to their home, get the ball rolling by hosting an event of your own! Once the local movers have delivered your belongings and you’ve had a chance to get settled, organize a small dinner party. 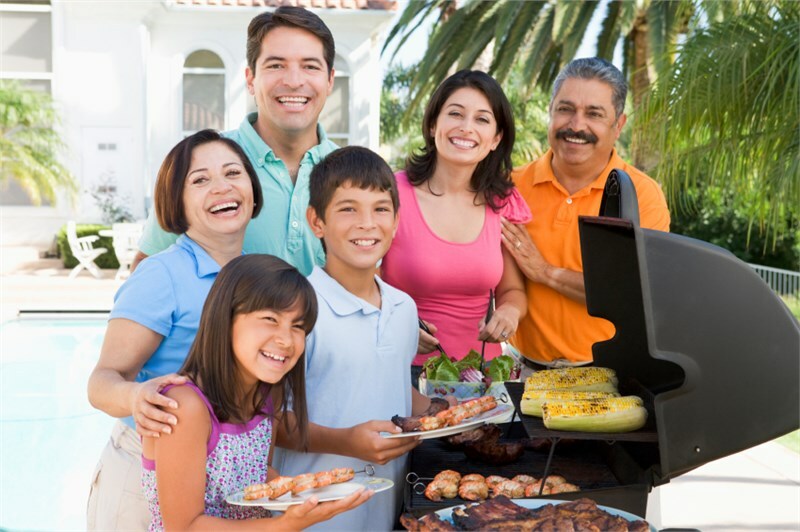 If you don’t want to wait for the house to be ready, host a backyard barbecue! It can be a little intimidating to take the first step and try to reach out to new people. Once you do make some connections, your new house will feel more like home. If a move is in your future, contact St. Pete Moving & Storage to learn about our comprehensive moving services. Whether you’re moving across town or across the country, our professional moving help will take the stress out of your relocation!